Phaidon has just published Plant: Exploring the Botanical World, a visually stunning survey celebrating “the most beautiful and pioneering botanical images ever” from around the world across all media—from murals in ancient Greece to a Napoleonic-era rose print and cutting-edge scans. Included are botanical works by Carl Linnaeus, Leonardo da Vinci, Pierre-Joseph Redoute, Charles Darwin, Emily Dickinson, van Gogh, Georgia O’Keeffe, Ellsworth Kelly, Robert Mapplethorpe, and Edge co-founder and resident artist, Katinka Matson. 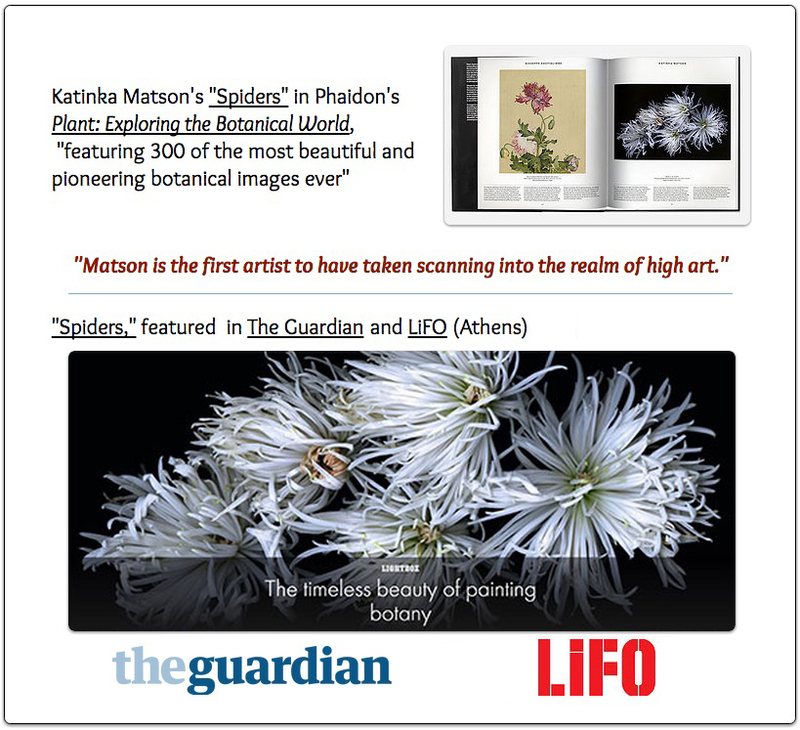 "Spiders," first exhibited by Edge, is also featured in the first serial excerpt of the book, now appearing in major international news publications...to date, The Guardian and LiFO.com (Athens). “This huge canvas by New York-based artist Katinka Matson uses magnification to emphasize the spider-like forms of petals of the spider chrysanthemum (Chrysanthemum morifolium). At the start of the 21st century Matson developed a new way of portraying flowers by using a flatbed scanner, Adobe Photoshop and an ink-jet printer. 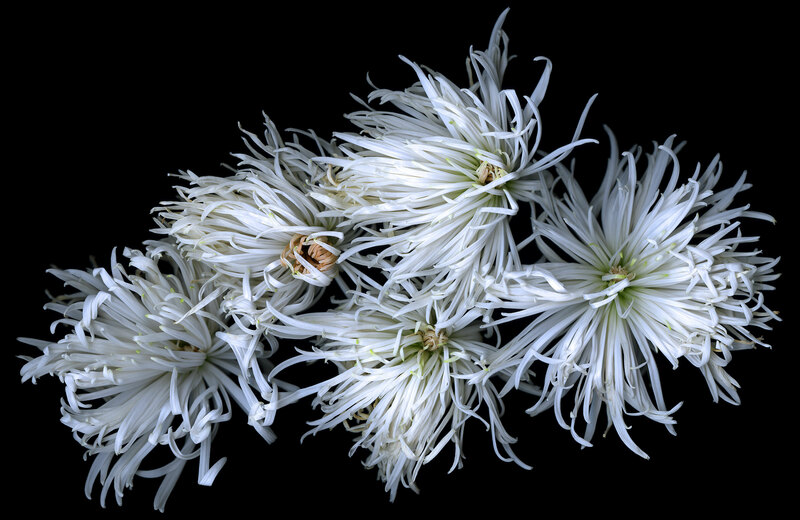 Slowly scanning the flowers captures their exact appearance, without the distortion created by a single-lens photograph.” —The GuardianHer work has been featured on Edge since 2002.